Roller Derby is an athletic, fast-paced, high adrenaline sport played on quad roller skates on an oval shaped (generally indoor) track. 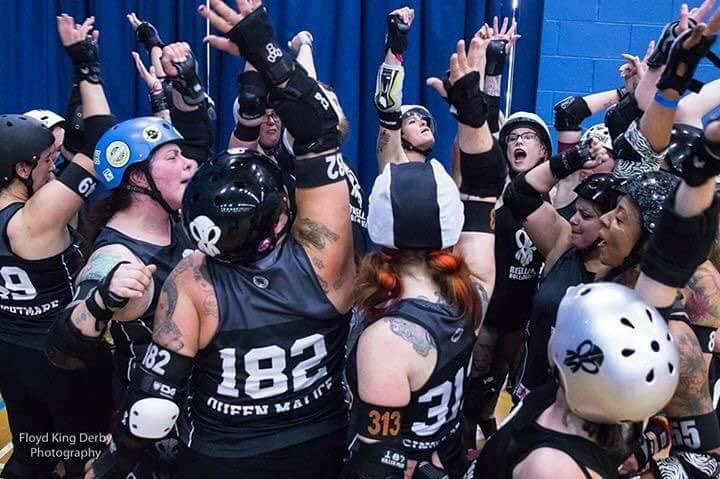 Originating in America, roller derby is a sport that has seen an organic and speedy revival and growth. Leagues (teams) started to appear in the UK in 2006. Rebellion formed in 2009 with just a small handful of skaters, we then spent the next two years building up the team and hosted our first closed door bout against the Norfolk Brawds in 2011. This success has meant an increase in team size and skill and we are excited to move to our new training centre Experience the Country in Milton Keynes. We are a hard working league that has grown massively over the past two years and will miss our former home in Bedfordshire but excited about new opportunities to come!